Climate legislation says we can stop global warming, improve our soils and help our farmers all at once. Not so fast. Over the last few years, scientists and policymakers have looked increasingly to agricultural lands to help solve the climate crisis. Since settlers began plowing the plains, American soils have lost as much as half the carbon they once stored, by one estimate, emitting perhaps 5 billion metric tons into the atmosphere. So, the idea goes, if we use the right farming techniques, we can put all that carbon back in the soil. Dozens of studies have shown the huge role farmland could play in acting as a giant carbon sink, counteracting our emissions and buying time as we transition to a low-carbon economy. Now Congress wants to make sure the climate bills moving through the Legislature take advantage of this potential. Both the House bill, which passed the lower chamber in June, and the Senate bill, which passed committee but has not come up for a floor vote, would allow polluters to offset their emissions by purchasing carbon credits from farmers who use practices that either store carbon in the soil or prevent it from being released into the air. In an analysis of the legislation, the Department of Agriculture said the country&apos;s croplands could supply 465 million tons of carbon offsets a year by 2050 — nearly 7 percent of 2007 emissions. One of the most talked about practices is something called conservation tillage, where farmers reduce or eliminate their use of traditional plowing. Maybe we can stop global warming, improve the nation&apos;s soil and provide American farmers with a new income stream all in one go. If only it were that simple. While few doubt that the right farming practices can help fight climate change, there is significant debate over whether legislating offsets based on how farmers till their soil is a good idea. "I think the overall point for us is there&apos;s absolutely no doubt that there are good, solid conservation practices out there that alone or in combination will store carbon in the soil," said Craig Cox, who runs the agriculture and climate change programs at the Environmental Working Group. Other carbon-storing practices include planting cover crops, pasture or trees. "What we&apos;re skeptical about is the wisdom of relying on these practices over the long term in exchange for allowing industries and utilities not to reduce their emissions. That just seems like a risky bet." Conservation tillage refers to any of a number of practices that reduce the amount a farmer plows. Rather than removing crop residue or plowing it under, the farmer leaves the detritus on the field. The practice has a number of benefits, including reducing erosion, fuel use and runoff. But the practice&apos;s ability to store carbon varies greatly depending on climate and soil type. A number of studies over the past few years have called into question how much the process actually works as a carbon sink. Some have found that under certain conditions, the practice actually ends up storing less carbon in the soil than does traditional plowing. Around 40 percent of American cropland was in conservation tillage in 2004, according to the Conservation Technology Information Center. But the practice sequesters carbon only if a field is held in a low-till system constantly. While there&apos;s no record of the extent of continuous conservation tillage, it is far less than 40 percent. All this variability and uncertainty leads some environmentalists to question the idea of approving the practice as an offset. While the House bill does not quite legislate any particular practice - it calls on the secretary of agriculture to do this with the advice of an advisory committee - it does provide an "initial list" of practices it considers appropriate, including "altered tillage." "Simply having a congressional mandate that no-till can be used to generate offset credits," Cox said, "that would be a very bad thing to do." There are a number of problems that could occur if offsets for conservation tillage are approved. One surmountable hurdle is how to measure carbon storage. There are broad regional variations in how soils react to low-till farming. Beyond that, two fields in the same county can turn out differently depending on the nature of the soil. An exhaustive accounting process would need to be established to determine how much, if any, carbon is being stored on a given farm. This tracking has proved challenging in the past, said Jim Kleinschmit, who runs the rural communities program at the Institute for Agriculture and Trade Policy. "If you look at critiques of Kyoto," he said, referring to the international agreement to reduce greenhouse gas emissions, "a lot of the studies have shown that verification is a very difficult process." Another problem is whether the given cropland was already being farmed with conservation tillage - "additionality," in climate jargon. Rather than reducing emissions, a utility could buy an offset from a farmer. If that farmer has already been practicing conservation tillage, the status quo has not changed. Overall emissions are the same, even though this utility has reduced its apparent emissions in the form of purchasing an offset. But if you do not allow farmers who have been practicing conservation tillage to participate, you will create an incentive for them to stop a beneficial practice simply to start again to get paid for it. Finally, there is the issue of permanence. If conservation tillage does store carbon in a given field, it does so only if the field is held in this low-tillage system all year, every year. Once the farmer plows that field, the stored carbon is released. With all these variables, the potential for error becomes huge. In an extreme worst-case scenario, polluters continue polluting as they have been because we think those emissions are being offset by conservation tillage when, in fact, they are not. "It&apos;s sort of worse than doing nothing," Cox said. "We&apos;re sort of fooling ourselves that were slowing climate change when we&apos;re not at all." The House bill contains a number of safeguards intended to address these concerns. Rep. Henry Waxman, who chairs the House Energy and Commerce Committee and sponsored the bill, would not address specific concerns but did issue an e-mailed statement saying the bill ensures, "that the offsets issued provide real, additional, verifiable, and permanent reductions in global warming pollution." Cox and others are not convinced. A better option, some say, would be to leave agriculture out of the offsets program and instead provide a separate system of economic incentives for farmers to use these same practices. Such a system would be far simpler, according to Michael Wara, an expert in environmental law and policy at Stanford Law School, who described the option at a hearing before the House Agriculture Committee on Dec. 3. In a prepared statement, Wara said the Kyoto program has produced fewer offsets than anticipated because of the difficulty of verification and has ended up allowing "business as usual" practices to continue. Instead, he and others argue, a conservation incentive program would lead to more reductions. The auctioning of credits to polluters would fund the program. Rather than using offsets to contain costs for polluters, the government would set a minimum and maximum carbon price. Since there would be no direct linkage of greenhouse gas emissions from polluters to their storage on farms, there&apos;d be no need for the same rigorous system of accounting to ensure we weren&apos;t fooling ourselves. And yet, we would still get the real, but hard-to-measure benefits of conservation farming. USDA is in the midst of a five-year program examining agriculture&apos;s potential role in fighting climate change. Called GRACEnet, the program brings together scientists from across the country to explore ways to store more carbon in the soil and reduce agricultural emissions of greenhouse gases such as methane and nitrous oxide, both potent contributors to global warming. A 2005 overview paper said U.S. soils sequester between 8 and 14 million metric tons of carbon a year, far short of a potential 220 million metric tons. The project has released a number of studies looking at conservation tillage with varying results. Aside from regional variation, researchers have found the potential for the practice to increase nitrous oxide emissions. Despite the uncertainty, soil scientists largely support conservation tillage. Even if it does not always store more carbon than traditional farming, its benefits warrant the practice&apos;s inclusion in a cap-and-trade program, said Rattan Lal, a professor of soil science at Ohio State University and a participant in the Intergovernmental Panel on Climate Change. "Conservation tillage is a basic component because it saves fuel, it saves machinery, it saves water," he said. If Congress passes a bill with agricultural offsets, Lal said, it would generate the money and demand necessary to create a rigorous verification system. But even if such a system could work, it would expose farmers to price fluctuations in the carbon market. "Farmers are already facing a lot of volatility," Kleinschmit said. "To bring another volatile market, which I think is pretty guaranteed with a carbon market, into their decision-making, I think is a real problem." Most opposition to writing such a scheme into law seems to stem from the sheer complexity of the endeavor. As Kleinschmit pointed out, farming does not lend itself to simplification. Conservation practices such as planting grass along a river have long been encouraged by the government for other environmental benefits, like preventing agricultural runoff. "So if we&apos;ve already paid them to do a practice, do we pay them again?" he asked. "Farming isn&apos;t singular, you don&apos;t do one practice and get one result. We&apos;re asking for a singular product in what&apos;s a multifunctional system." Climate legislation is far from final, but there appears to be consensus in Congress that agricultural offsets are a good thing, and the political momentum for including offsets is strong. USDA has repeatedly cited offsets as a boon to farmers. At the Dec. 3 Agriculture Committee hearing, the Congressional Budget Office said including offsets would reduce the average net cost of the bill in by around 70 percent. Wara was the only one of seven panelists who argued against using agricultural offsets. Researchers from Oregon State argue that when it comes to carbon emissions, not all forest fires are created equal. 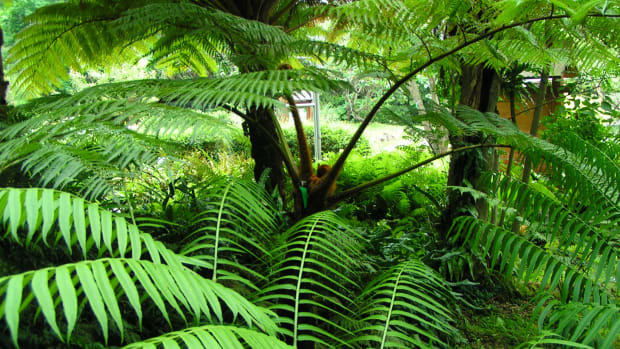 A new study shows that tropical forests emit more carbon than they consume, mostly due to human activities. 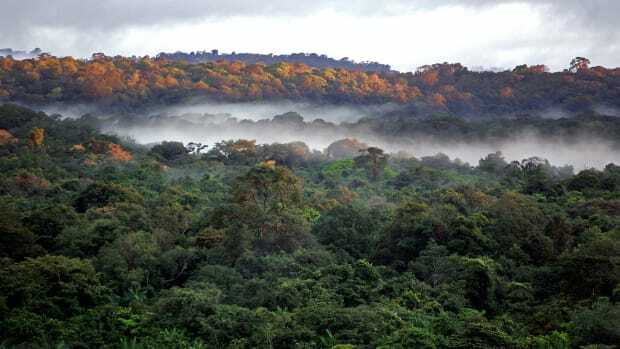 New research finds just one season of drought can reduce the carbon dioxide absorption ability of the world's biggest rainforest—the Amazon—for years to come.